We were losing altitude. I quickly did the math in my head. We weren’t at the ideal altitude, but we were high enough. I had to jump as soon as possible. Every second counted. I’ve been BASE jumping for 8 years now, but not every jump goes the way you expect, even when you’ve spent hours planning and practicing. No matter what, you have to have the right mindset to be able to quickly and calmly make decisions in the air. BASE jumping usually takes place off a static object. 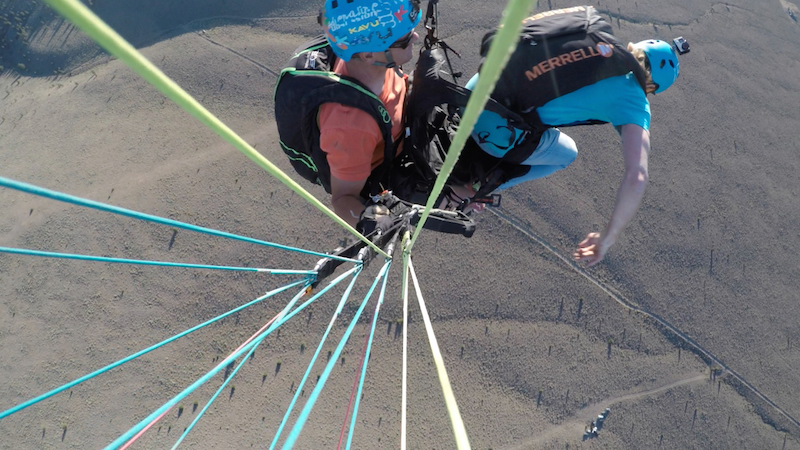 For this adventure, I wanted to try a jump from the air while paragliding, which I had only tried a few times before. My buddy Bam Bam and I chose a spot off the side of Pine Mountain, about thirty miles east of Bend. 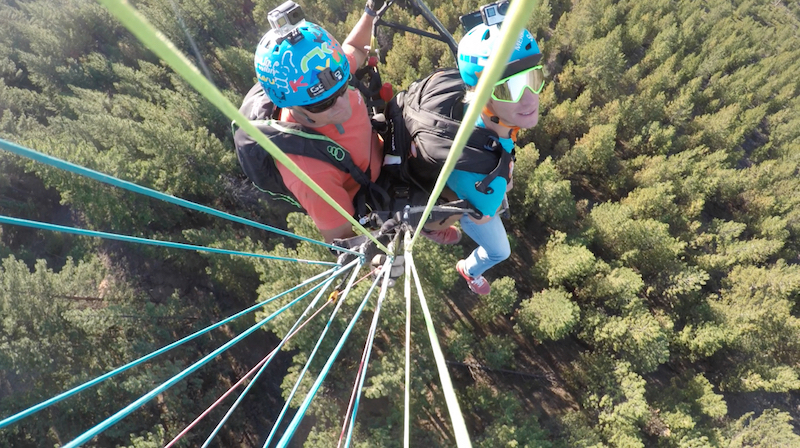 We’ve paraglided there a few times, and normally you can climb high in the air because of the thermal winds. I usually have to hike to get to these jumps. 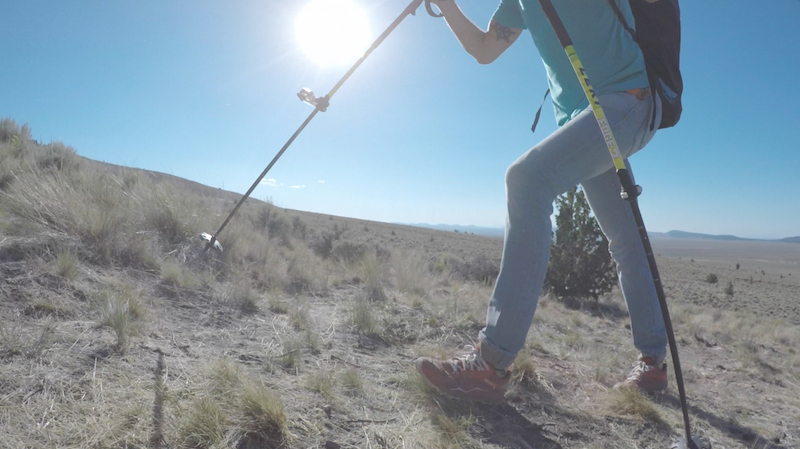 This time, the approach to our launch point was an easy hike, so I decided to wear my Merrell All Out Crush shoes. 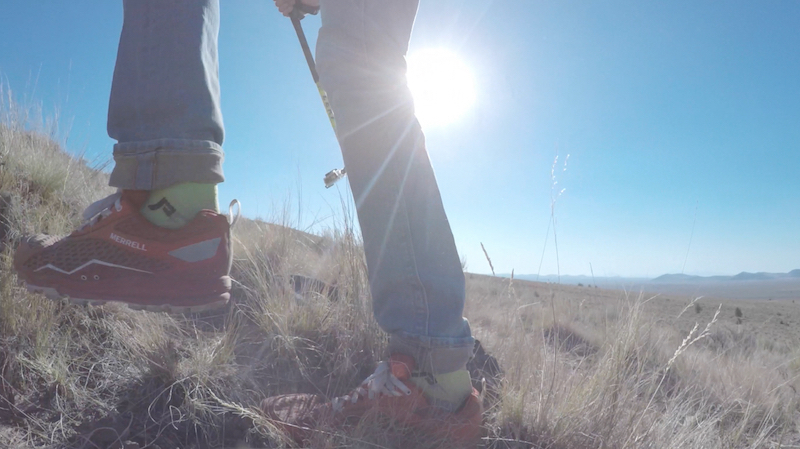 I really like this shoe for BASE jumping because it’s light, comfortable and has the perfect amount of traction for the type of approach on the mountain. 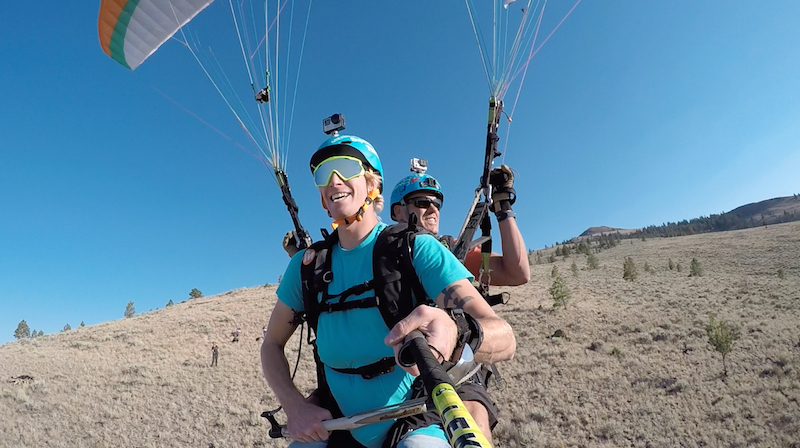 Bam Bam and I went tandem in the paraglider, so he would fly it down after I jumped. At first, we thought we had enough wind. We spent about 45 minutes in the air soaring up to our goal altitude of 2,000 feet (about 600 meters). But when we got to my jump point, we were only at 1,400 feet (about 425 meters). 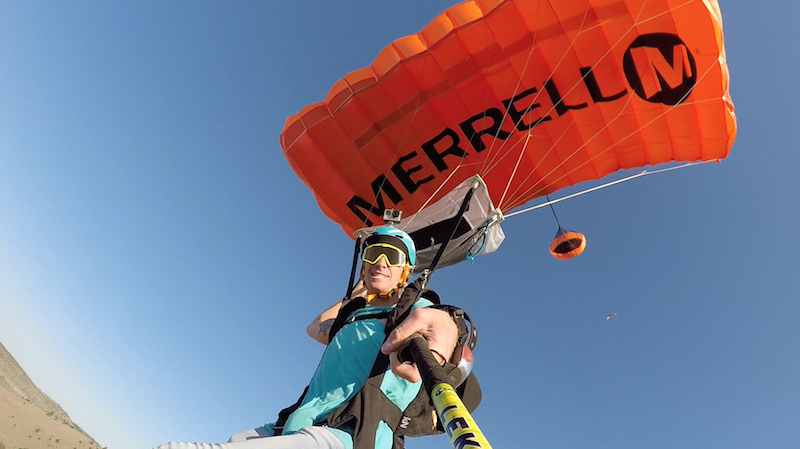 As I went through the process of unhooking myself from the paraglider and preparing for the jump, we started descending. 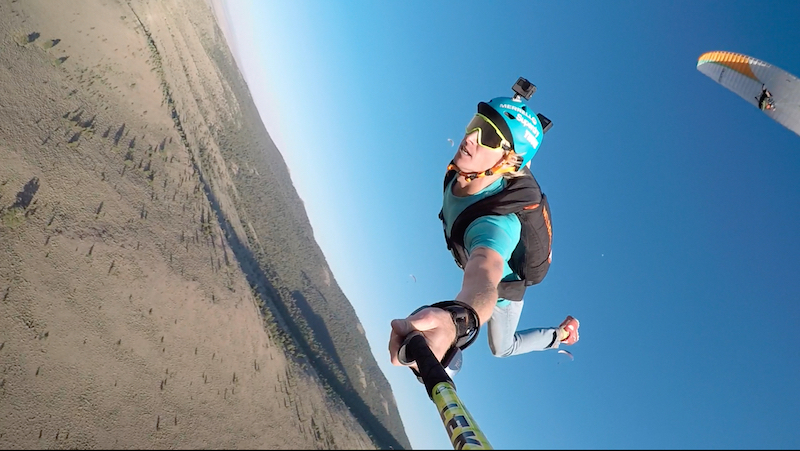 Within just a few seconds, we lost half our altitude, and I had to jump from 750 feet (about 230 meters). It wasn’t ideal, but it was high enough. 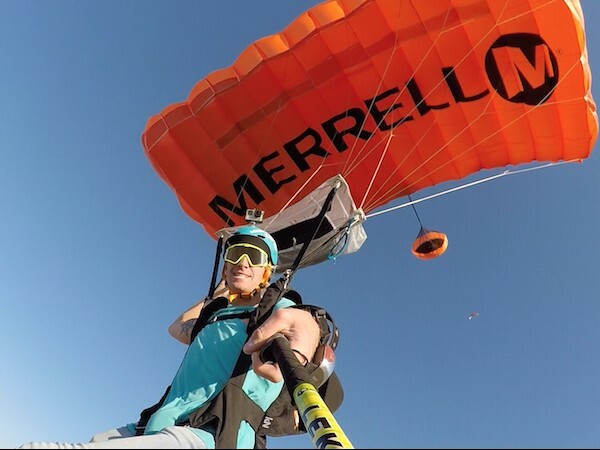 I jumped out of the paraglider, only doing one of my two planned front flips, and opened my parachute at around 250 feet (about 75 meters) off the ground. 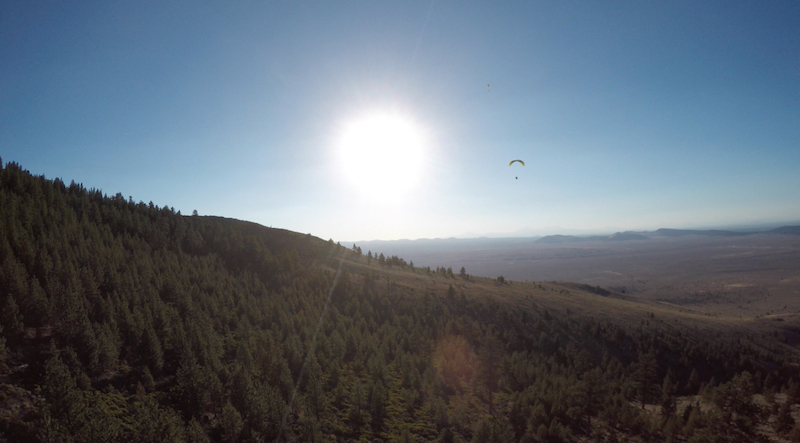 Even though the first part of the jump didn’t go as I planned, the rest of the flight down was great, with perfect views of Central Oregon. 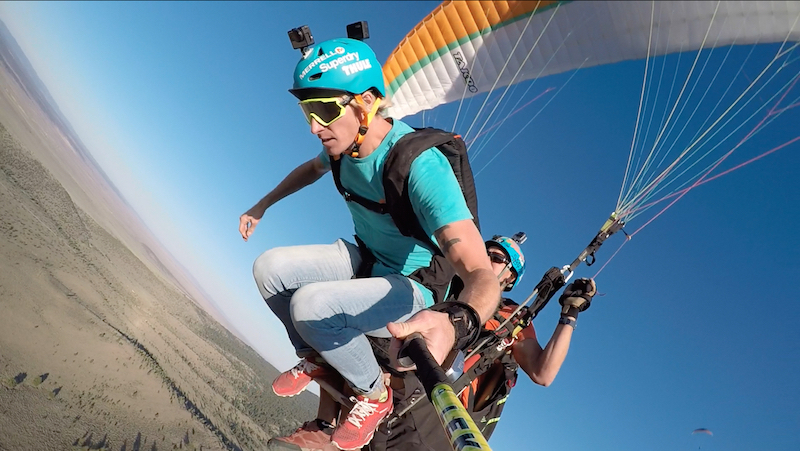 A few other friends were paragliding with us that day, and on my ride down, with all the other canopies in the air, it was like a party in the sky.